Ian Somerhalder - Promotional litrato S5. 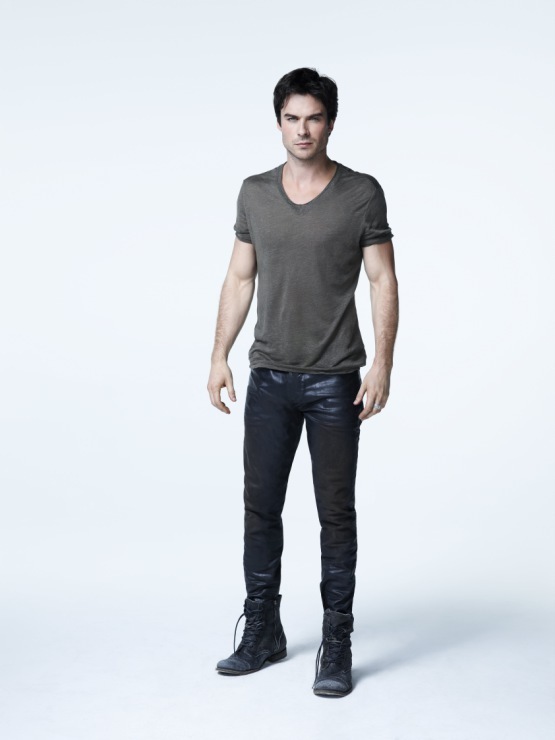 Ian Somerhalder - Promotional litrato S5. HD Wallpaper and background images in the Damon Salvatore club tagged: the vampire diaries damon salvatore ian somerhalder season 5. This Damon Salvatore photo contains bellbottom pantalon, bell bottoms, bellbottom pantalon, pantleg, mahabang pantalon, and mahabang pantalon. There might also be pranela, gabardin, Tweed, puti, pant binti, trouser leg, and slacks.